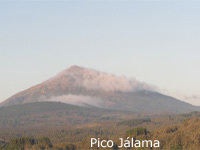 Jálama (Xálima in the fala) is a mountain to the west of Spain, in the Autonomous Community of Extremadura. Their 1.492 meters, is the highest mountain range of the same name, which is located in the Sierra de Gata. The top of the peak Jálama Jálama chairs the valley and marks the boundary between the provinces of Cáceres and Salamanca. Municipality in the province of Cáceres, Extremadura, located in the Sierra de Gata between Las Hurd and the Portuguese border. It is nestled in a valley at the foot of Mount Jálama (1492 m). Linda Eljas north with the province of Salamanca, south with Villamiel, Holly on the east and west by Valverde del Fresno. It is one of the mountains that make up the Central System. Its summit marks the boundary between the provinces of Cáceres south (region of the Sierra de Gata) and north Salamanca (regions of the Oak thicket and Los Agadones). In the east borders the Sierra de Francia; the separation between two mountains could be the valley formed by the river Hurdano. It is a protected area located in the northwest of the province of Salamanca, in the southwest of the province of Zamora, in the Autonomous Community of Castilla y León, You arrive Spain.2 is the name given to geography erosion caused by rivers Agueda, Duero, Esla, Huebra, Tormes and Uces in this territory. Parietal rock art site, discovered 1988, by Manuel Santoja and Rosario Perez. It can be found along the river Agueda and to access it has to get to the bridge over the said river on the road between Old Martin Castillejo and Villar de la Yegua. In the place has built a classroom archaeological interpretation, that offers visitors a wealth of information about life in the area of ​​these settlers and location of rock art. 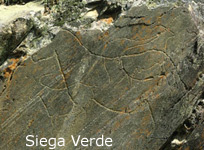 This set Paleolithic Siega Verde, represents the opinion of the most outstanding UNESCO whole outdoor Paleolithic art in the Iberian Peninsula. Spain is the best country for lovers of castles, as the number of preserved and artistic variety, is enormous historical and chronological. 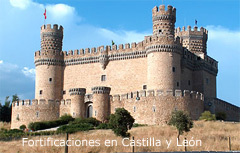 In the Castile & Leon can find many of these fortifications.